Assistant trainer Norman Casse handles the Churchill Downs stable of his father, Mark Casse. Spring Meet leading rider Corey Lanerie got a good start to the September Meet on Friday afternoon when he rode two winners on the Opening Day card with Fruit Ludt (Race 1, $3.40) and Jack Tripp (Race 3, $5.60). Lanerie expressed how happy he was to be returning to Churchill Downs after a difficult summer riding at Saratoga where he went 0-for-57. Lanerie discussed how the Saratoga meet made him thankful for the success that he has found at Churchill. Lanerie is named the rider on 10 mounts for Saturday afternoon’s card, including all four stakes races: Sunset Sands (Race 1), Anythingyoucando (Race 3), LT’s Best Tale (Race 4), Elusive Fate (Race 5, Open Mind), Summer Spice (Race 6), W.B. Smudge (Race 7), Dothraki Queen (Race 8, Pocahontas), Unbridled Outlaw (Race 9, Iroquois), Flashy American (Race 10, Locust Grove) and Stand Guard (Race 11). Like Lanerie, veteran rider Jon Court pulled off a two-bagger Friday with Fight the Power (Race 2, $10.20) and Quality Council (Race 6, $7.60). In addition to his two wins, Court racked up two second place finishes and three thirds making him 6-for-7 in the money this meet already. With 3,917 career victories, Court is anticipating scoring his 4,000th career victory and considers it a major long-term goal. Court is named the rider on nine mounts for Saturday afternoon’s card: W. Harvey (Race1), Discreetness (Race 2), Secret Stash (Race 3), Battleback John (Race 4), Z Noble (Race 6), Hat of Jacks (Race 7), Condominium (Race 8, Iroquois (GIII)), Frivolous (Race 10, Locust Grove) and Ranger Maxx (Race 11). CASSE LOOKS AHEAD WITH TWO-YEAR-OLDS, NOBLE BIRD OUT UNTIL NEXT YEAR – On Friday, Norman Casse, assistant trainer to his father Mark, discussed how the September Meet is an opportunity to get some of his 2-year-olds going. That afternoon, the Casse barn sent out Conquest Stables LLC’s Conquest Big E and John C. Oxley’s Gametown in the fifth and seventh races, respectively. While both 2-year-olds could do no better than second, Mark has not lost any confidence in what he believes could be some of the best 2-year-olds in his Churchill stable. Casse said that he felt as if Gametown had a difficult time handling the track, and elaborated a bit on some of the difficulties training Conquest Big E at Saratoga this summer. Mark Casse reiterated some of his son’s statements from Friday morning regarding training their 2-year-olds for the September Meet. Casse also gave an update on this year’s Stephen Foster (GI) winner Noble Bird, stating that he will be out for the year and will resume training at the beginning of next year. Last time out, the son of Birdstone was a well-beaten ninth in the Whitney Handicap (GI) at Saratoga last month. 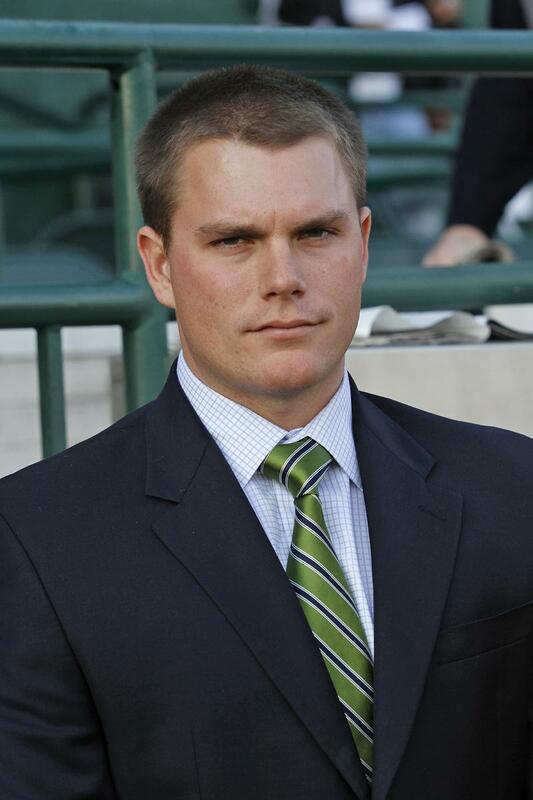 ROGER BRUGGEMANN DISCUSSES SEPTEMBER MEET, STABLING AT CHURCHILL – Churchill Downs horsemen will be seeing a new face on the backside this meet as veteran trainer Roger Bruggemann has horses based at Churchill Downs for the first time in his career. Bruggemann, who was primarily based on the Illinois circuit, was based at Churchill Downs Trackside during the Spring Meet. The Bruggemann stable has made some noise these past couple of years with last year’s champion sprinter Work All Week and victor of last month’s Arlington Million (GI), The Pizza Man, both of which are bred in Illinois and owned by Midwest Thoroughbreds. Bruggemann says that he hopes to continue adding stars to his stable. It was recently announced that The Pizza Man would make his next start in the $1 million Shadwell Turf Mile (GI) on Oct. 3 at Keeneland with a long term goal of competing in the $5.4 million Japan Cup at Nakayama Race Course on Nov. 29. He also said Saturday morning that last year’s Breeders’ Cup Sprint winner Work All Week would likely make his next start in the $300,000 Phoenix (GIII) at Keeneland on Oct. 2 with intentions on defending his Breeders’ Cup title. 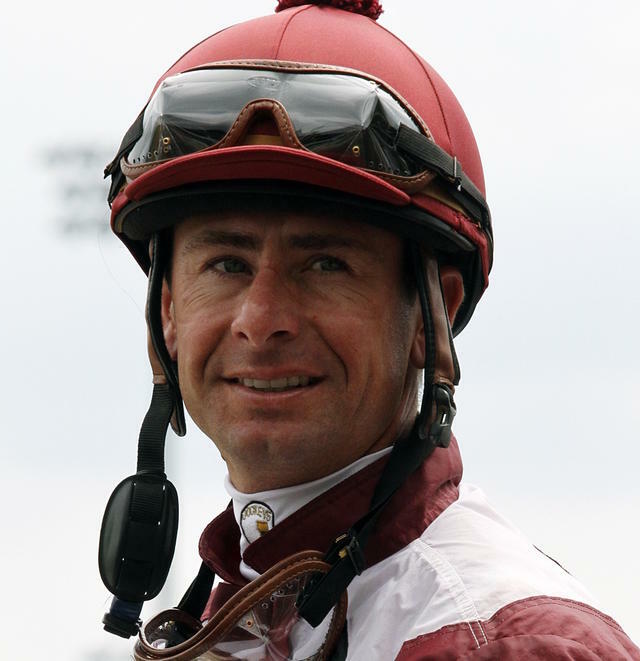 SMALL-TIME TRAINER CHARELS KARDOUSH STARTS MEET ON GOOD NOTE – Blue collar trainer Charles Kardoush scored a victory in yesterday’s second race with Michael and Linda Mazoch’s Fight the Power, a 5-year-old Florida-bred gelding who scored his second career victory in 25 starts. It was only the 10th career victory for Kardoush, who took out his trainer’s license in 2008 as a part-time trainer, but has gotten a lot more serious about training in the past few years. Kardoush, a native of Memphis, Tennessee who went 3-for-11 at the Spring Meet, is based at Churchill Downs Trackside with a string of seven horses and races at Oaklawn Park in the winter and early spring. He has one entrant on Saturday afternoon’s card with Hat of Jacks (Race 7). The book will be sold for $20 (cash only) just inside Gate 17 where West and Fortus will sign copies from 11:30 a.m. through the fifth race at 2:45 p.m.
WHO’S THE CHAMP? 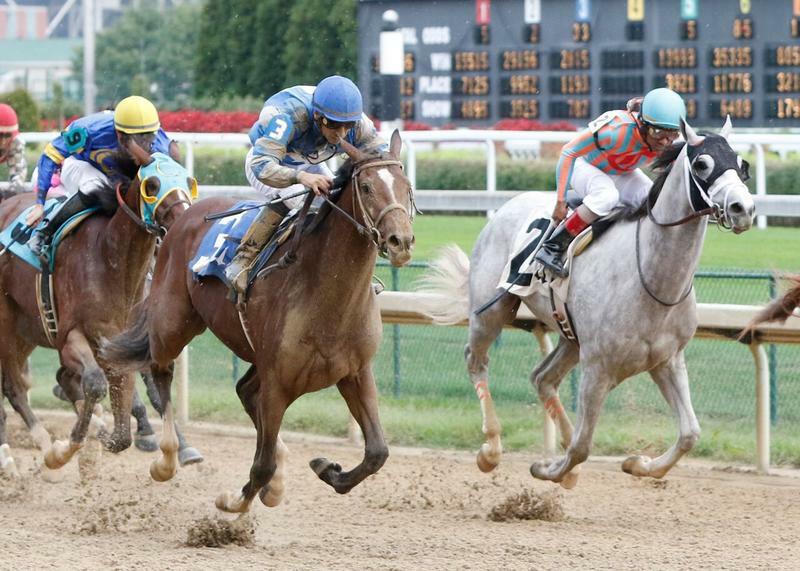 HANDICAPPING CONTEST RETURNS SUNDAY – The weekly “Who’s the Champ? Handicapping Contest” returns Sunday in Churchill Downs’ ITW area on the second floor of the Clubhouse. Bettors can enter for $35 ($30 for TSC Elite members) and are required to make mythical $2 Win/Place bets on Races 3-8. The highest bankroll will win a $1,000 cash voucher. Second place is a $500 voucher and third is a $250 voucher. Registration takes place Sunday between 11:30 a.m. and 1:30 p.m. at the top of the Gate 17 escalators. CHURCHILL DOWNS OPEN FOR SIMULCASTING ON MONDAY WITH FREE ADMISSION – With Saturday’s 10-race Kentucky Downs card cancelled and moved to Monday, Churchill Downs’ second floor ITW will be open Monday at noon and admission is free. In addition to Kentucky Derby (2:35 p.m.), Churchill Downs will import signals from Parx (12:55 p.m.), Thistledown (12:55 p.m.) and Delaware Park (1:15 p.m.).